Jane Curth is the CEO of FitFixNow and a retired Professor of Health and Kinesiology. Jane taught for over 20 years, and specialized in bringing her department into the world of online education. Jane currently holds certifications in Personal Training and Group Fitness Instruction. During her tenure in academia, she helped pioneer online college courses in health and fitness — creating templates that are still being used to this day. 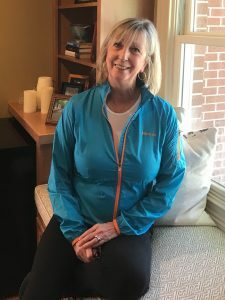 In 2016, having recently retired as a Professor of Health and Kinesiology, she decided to use her expertise in the industry to help other fitness professionals all around the world. She co-founded FitFixNow to offer CEUs on-demand, while helping fitness professionals grow their businesses. She is now excited to use her background to bring quality online continuing education courses to fitness professionals. Her current memberships include the American College of Sports Medicine and American Council on Exercise, among others. Previously, Jane was a board member for the Georgia Association for Health, Physical Education, Recreation and Dance. An active person her entire life, Jane has a passion for helping people to live longer, better and more satisfying lives. In her spare time, she enjoys reading, learning and spending time with her family — especially her adorable grandson Oliver.